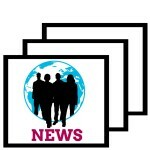 Weekly News Brief – April 23 to 30, 2010, compiled by Joshua Kennedy of GI-Net and the STAND E-team. To receive weekly news briefs, trivia, and a discussion guide, email education@standnow.org. Weekly News Brief, March 26 to April 2, 2010, compiled by Joshua Kennedy and the STAND E-team. To receive news briefs, trivia, and discussion guides, email education@standnow.org.